Fisher Mechanical Inc. is pleased to be able to offer an air conditioning maintenance plan. This comprehensive plan enables you to get regular, ongoing service which reduces the likelihood of unexpected emergency repairs from materializing. As the preferred air conditioning company in Horsham, PA, we go above and beyond to meet and exceed the needs of our clients. Get proactive about your preventative service and prolong the lifespan and enhance the performance of your cooling system. 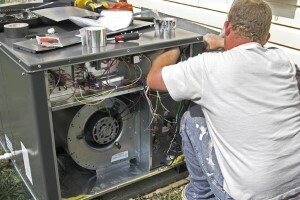 A common approach homeowners take to getting care for their air conditioner is to wait until something goes wrong. However, wise consumers learn the benefits of a maintenance plan in order to avoid major problems from developing in the first place. Having scheduled service enables an industry expert to know what's going on with your system opposed to it being guesswork. This approach is the most effective way to catch a developing problem before it becomes serious. Contrary to misconception, this actually saves you money. Scheduled maintenance is more cost-effective than emergency repairs. This can also help prevent you from replacing your system especially before it should be time. With ongoing service, you really can improve the performance and longevity of your air conditioner.